Plans are afoot for the NSN book group to meet on 3rd September to discuss "Landfall," much of which was located in and around Portsmouth and Southsea. I'm making enquiries about having lunch/ afternoon tea at the Queens Hotel in Southsea, where we met in 2003. Anyone likely to want to join us? NB The Queen's Hotel was also mentioned in Trustee. Barnes Wallis Public Meeting 30th June. I was very pleased to give a talk to this meeting. 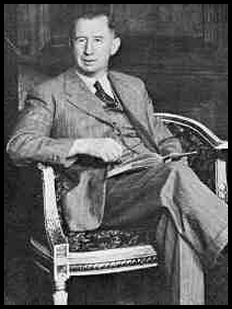 My title was "Barnes Wallis and Nevil Shute - influences and intersections" I talked about their work together on R.100 and what Shute learned from Wallis - the detailed, methodical approach to engineering. I covered Shute's wartime work on the Swallow pilotless aircraft which directly stemmed from Wallis original experiments. The second part was about Shute's career as an author and Wallis's objections to Shute's account of the airship programme in Slide Rule. It was an enjoyable evening; most of the audience had read Shute's books and enjoyed them. My talk may even have inspired some to read them again! It was good to meet the Barnes Wallis Foundation people again, and in particular, Mary Stopes-Roe, Barnes' elder daughter, who was our after dinner speaker at York in 2009. During 2013 I consumed three previously-unread Shute novels – all new editions labelled by the publisher as “Vintage Shute”. The term “vintage” , I have been kindly informed, with a capital V, refers to a publisher’s category or range – which probably includes some other pretty good stuff. Lonely Road provided its normal full measure of pleasure and interest (the era being circa 1936), as did What Happened to the Corbetts, reviewed elsewhere. (In passing, the third of these vintage 1930s offerings was Ruined City, which despite some typically good stuff – sympathetic, hopeful and humane, and with some real insight into 30’s dealings in that other, bowler-hatted City – also included plot aspects which did not appeal so much to me). Anyway, why should I bother with this appreciation, since I am no trained or professional Critic – and will certainly not be paid for the effort? I think it’s a kind of felt-duty, or homage to Shute whose novels I have read, re-read and revelled in for well over 50 years. These are in the main gripping narratives often filled in addition with much technical, geographical and social interest. And if others take issue with that mild adulation, few would argue with an equally-celebrated author J.B. Priestly – via a book jacket blurb – who declared NSN to be “a master story-teller”. That was as early as 1936, and indeed Shute went on to maintain (nearly always) his unique and compelling narratives until the late 50’s. My copy of Lonely Road had been advertised and supplied by the rather remarkable Amazon Ltd.; good for them. It contains a Forward, written by the author a good deal later one presumes, which goes so far as to warn the reader that Chapter 1 is a touch unusual / experimental, but that he, Shute, still liked it and chose not take it out. Fair warning, though the passage in question actually proves not that difficult, and acts as a good scene-setter. For some reason – maybe it’s a Critic’s Convention – I am reluctant to disclose details of the plot or action – which turn out to include a little more violence than Shute’s later tales, at least those set in peacetime. Like many of the others, it accurately illustrates mid-20th-century England, and shows just how alive the class system still was then, just a few years before WW2. The hero/narrator is Commander Stevenson, lately of Great War naval action, who is very well heeled and still dresses for dinner every night; he is also hard-working and talented - with his own boatyard, down by the Channel - and is a generally decent type. Notable, perhaps, that his lesser house servants are never named and even the ubiquitous butler, Rogers, has not one word of dialogue throughout! When the action opens, Stevenson’s guests are few, and his drink bills are heavy. Then we are introduced to the female interest, who is of emphatically lower class, though a lovely and intelligent young woman. She is, as the narrator makes clear more than once, of “a superior type”, and he probably thinks that she can be coached, Pygmalion-like, to fit in with his own few intimates. In this day and age, it is really quite amazing to realise how firmly people were categorised (not least by themselves! ), in Britain less than 80 years ago. Thus for myself, a child of the 50’s, I found Mollie (also referred to, but never addressed as, Sixpence) a little too subordinate, passive and polite. Not that the lovely girl lacks spirit or a firm perception of matters, and her major decision in the narrative is certainly impressive. A minor cavil here is that Mollie is reported to hail from Preston, but that she and her less-lovely brother speak (and Shute can represent accents perfectly well) in a lower-class Southern mode. One way of indicating the latter, here and in many other of the books, is the use of “ever so …” in place of “very” – and I confess to becoming a little tired of the phrase “ever so lovely” in this early Shute. Another mild surprise for the modern reader (that is, one not brought up from around 1940 to 1965) is the poor light in which the story’s police are shown. Their efforts to prevent / contain serious and dangerous crime seem blinkered and inept, while the narrator becomes positively antagonistic to their methods – which seemed reasonable to me – of interrogation. Most police officers involved are as anonymous as the servants, though two of them at least undergo great peril and discomfort in the line of faithful duty. Two minor characters typically fit perfectly into the story – viz., an aviator/businessman, knighted for his services to the export drive, and his kindly, upper-class (probably long-suffering) wife who is cousin to the rugged Cdr. Stevenson. Mention of their Tiger Moth and leather flying helmets is so authentically 1930’s English Summer. Also authentic are the novel’s small-boat sailing passages, set largely in and around Dartmouth. Shute obviously treasured this whole scene from an early age, and had the gift of making it all – even to a perfect lubber like myself – seem fascinating and real, and “lovely”. There are villains to be opposeded in this slightly Buchan-esque thriller / romance, but much as with the earlier Hannay escapades, they remain for the most part in the background. From memory, only the master criminal, encountered at the end, is afforded any dialogue. If there is a gap in Shute’s range of plots and characters, it’s that he did not “do” real nasties. Too nice a man, I think. As for the plot of Road, it depends heavily on one, possibly two, coincidences involving Devon and the distant city of Leeds. But, since life is in fact much stranger than fiction, we can forgive that. And then there is the masterly Commander himself. An impressive character and pillar of the local well-to-do, he nevertheless is capable of driving passion and violence if provoked. He has, of course, “a past”, to balance his not-very-abstemious though exemplary industry. And his handling of matters to wreak vengeance upon (or dispense justice to? Take yer pick!) some evil-doers makes for a wonderfully satisfying climax. That is, the culmination to a finely-crafted tale complete, to my mind, with a suitably haunting title. Read it, by all means, if you’ve not already; I doubt that you’ll be disappointed. An interesting newsletter this month I think. Alison, Bettina and I will be there on 3 September.